Religion • Article is posted days after federal judge struck down Utah's anti-cohabitation statutes. 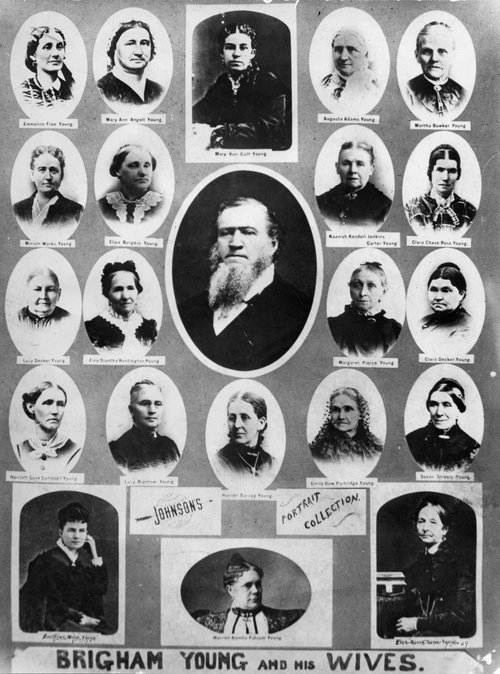 Brigham Young and his wives. Photo courtesy of Utah Historical Society Mormon founder Joseph Smith. Just days after a federal judge struck down parts of Utah&apos;s anti-polygamy laws, the LDS Church published an official essay about its historic ties to plural marriage, including an acknowledgment that the practice persisted even into the early 20th century. The carefully worded article, "Plural Marriage and Families in Early Utah," was posted Monday on the gospel topics page at lds.org, the faith&apos;s website, and spells out Mormonism&apos;s experiment with polygamy. It comes in the wake of federal Judge Clark Waddoups&apos; decision issued Friday that the "unlawful cohabitation" statutes of Utah were unconstitutional. The essay also follows the LDS Church&apos;s release the previous week of an article about "Race and the Priesthood," repudiating theories behind its former ban on blacks entering the all-male priesthood. Most of the details in the piece on plural marriage are well-known to historians, but some of them may be news to longtime Mormons or new converts in the 15 million-member Church of Jesus Christ of Latter-day Saints. The practice of LDS men marrying more than one wife began with a divine revelation to church founder Joseph Smith in the early 1840s, the site says. "Thereafter, for more than half a century, plural marriage was practiced by some Latter-day Saints." In 1890, the article says, God "inspired" then-church President Wilford Woodruff to issue a statement that became known as "the Manifesto," ushering in the end of the church&apos;s practice of polygamy. 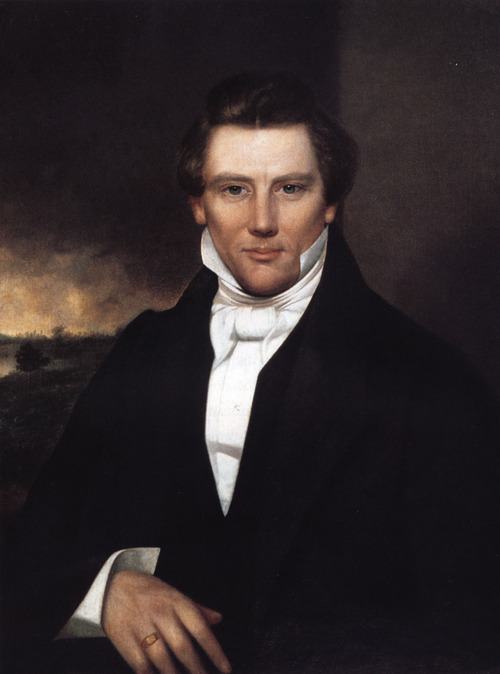 In the Manifesto, now canonized in Mormon scripture as "Official Declaration 1," Woodruff "declared his intention to abide by U.S. law forbidding plural marriage and to use his influence to convince members of the church to do likewise." After that time, the church preached monogamy, but some "new plural marriages were performed between 1890 and 1904, especially in Mexico and Canada," as well as "a small number" in the United States. After 1904, "the church strictly prohibited new plural marriages," the article says. "Today, any person who practices plural marriage cannot become or remain a member of the church." Mormons do not know fully why God instituted plural marriage, the essay says, but it taught members of the new faith the principle of "personal sacrifice," "the spirit of unselfishness and the pure love of Christ for everyone involved." Polygamous families produced a large number of Mormon children, allowed virtually every member who wanted to be married to join a family, reduced income inequality between families, and helped unite "a diverse immigrant population," the article says. "Plural marriage also helped create and strengthen a sense of cohesion and group identification among Latter-day Saints." Mormons came to see themselves "as a &apos;peculiar people,&apos; covenant-bound to carry out the commands of God despite outside opposition," it says, "willing to endure ostracism for their principles." Jan Shipps, a retired American religion scholar in Indiana and a pre-eminent expert on Mormonism, lauds the essay as a "well-done summary of what has been covered by several scholars who have spent years researching plural marriage." It also is a timely response to all the bad historical information on the Internet, Shipps says. "Now the people who Google a question about Mormon history will get good scholarly answers, rather than the kind that have been provided by anti-Mormons or people who are not experts in the field." Shipps sees the essay as part of the faith&apos;s recent efforts at transparency about its past. "The LDS Church is becoming far more open about its history than it ever has been, making real information available to members and to the public." Even though plural marriage is a distant memory in the Utah-based LDS Church, Mormon scriptures  such as Doctrine and Covenants Section 132  describe and defend the practice and remain part of the mainline LDS canon. Plus, men can be "sealed," or married for eternity (Mormonism&apos;s crowning rite), to more than one woman, while a woman can be sealed to only one man. Some point to that policy as proof that, under LDS doctrine, polygamy will continue in heaven. The new church article on plural marriage makes no mention of the future. But after Waddoups&apos; ruling last week, a church spokesman emphasized that Mormons "do not practice polygamy, regardless of its legal or cultural acceptance." Even in countries that permit plural marriage, polygamists are not allowed to join the LDS faith and members who do are booted out. • Some Mormon men were recruited to enter plural marriages; others made the choice themselves. • Brigham Young and other LDS leaders had large polygamous families, but "two-thirds of polygamist men had only two wives at a time." • Women unhappy in their marriages could obtain divorces and remarry. • During the decade after the Mormon pioneers arrived in Salt Lake City, a number of LDS women, like their frontier counterparts, married at "age 16 or 17 or, infrequently, younger." • By 1857, about half of the Utah territory&apos;s residents lived in a polygamous family. That number fell to no more than 30 percent by 1870 and continued to decline thereafter. Trib Talk: What now for Utah polygamists? In a landmark ruling Friday, U.S. District Judge Clark Waddoups effectively decriminalized polygamy. The decision simultaneously invigorated polygamy supporters, disappointed its critics and meant business as usual for those living in the twin border towns of Hildale and Colorado City. On Tuesday at 12:15 p.m., civil-rights attorney Stewart Gollan, law professors Nate Oman and Sarah Barringer Gordon and Salt Lake Tribune reporter Jim Dalrymple join Jennifer Napier-Pearce to discuss the ruling and what happens now for polygamous communities in Utah and elsewhere. You can join the discussion by sending questions and comments to the hashtag #TribTalk on Twitter and Google+ or submit comments in the comment section below this story.